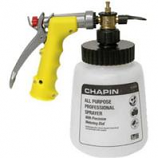 Chapin has been a world leader in compressed air sprayers since they patented the first U.S. pump sprayer in 1902. 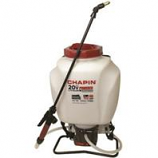 There world-class company includes exacting manufacturing and progressive technology and design methods enabling them to provide there customers the best sprayers and applicators for their needs. 16 Precision Settings-No measuring. Sprays up to 320 Gallons. No pre-mixing-Just set dial. No backflow-Built in anti-siphon prevents blackflow. 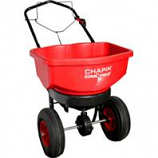 Features a comfort grip handle and a large funnel top bottle.